Stir-fry, pad Thai, spring rolls, sushi, these are some favourite Asian dinners over here at the Sheldrick home. My husband and I love them all. The problem is finding a healthy sauce to accompany them. If you read the labels on most store bought sauces, the first ingredient is usually sugar, with salt coming in second place. Often, they are also full of chemical filled preservatives, artificial colors, and sometimes MSG. Creating healthier versions of store-bought sauces is a great way to keep your health, and weight in check. 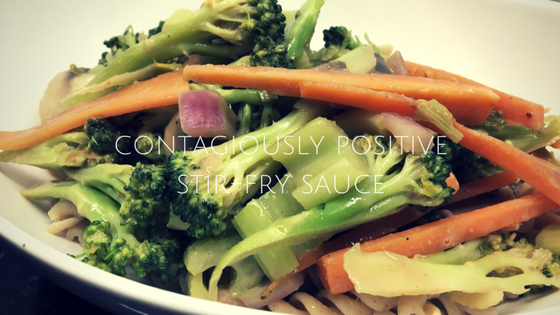 Stir-Fry your favourite vegetables, protein of choice and toss with sauce. Place all ingredients into a mixing bowl and whisk until blended well. If not using immediately, place in a sealed jar or container and store in the refrigerator. The sauce will stay fresh for up to two weeks.